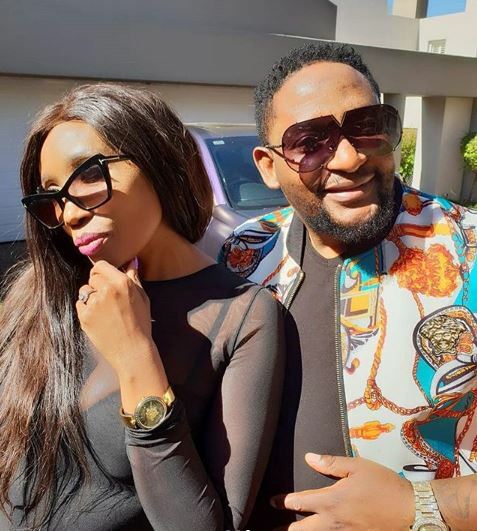 Sophie Ndaba cries out on social media over fake news alert about her and hubby, Max Lichaba, involvement in bitcoin investment and anti-aging cream sales. The actress who made headlines weeks back on rumors that she is dead, back-lashed the rumors and addressed it properly on Instagram that she’s not dead, neither is she a zombie. However, she is suffering from a disease known as diabetes and she’s doing all to be in good shape, as her parents died as diabetes patience. which could nurture thoughts of committing suicide. Graduating from the death rumors, she took to her Instagram page to address the news of her and hubby into bitcoin investment and anti-aging cream. associated with Bitcoin investments. Or any other associated linked money schemes.” She said. FACIAL ANTI AGING CREAM BRAND TO DATE. Please refrain from using any facial cream associated with my name!” She added.